A story of stories is revealed to us by an injured movie stuntman, weaving beguiling threads of narratives for a small girl who he befriends in hospital. From patients to nurses, almost every character in the hospital appears as their alter-ego in his romantic adventure story. As the stuntman’s motives begin to surface, the storytelling darkens. The Fall cannot fail to amaze for its spectacular scenery alone – imagine The Wizard of Oz directed by Tarkovsky. 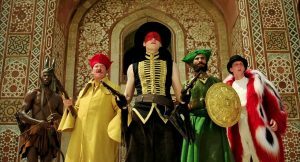 Tarsem is a collector of extraordinary locations gleaned from his previous life as a music video director, and The Fall, his first feature film, revels in mesmerizing landscapes shot in over 20 countries. All the stunning landscapes are natural, framed by a director with an eye for the surreal. Look out for the Salvador Dali inspiration! 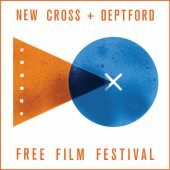 During the free film festival of 2018, Caroline Jupp recorded interviews with New Cross and Deptford audiences about scenes in movies that have particular significance for them. The Fall is one of the films discussed during the project. A Scenes publication containing texts from all the interviews will be available to browse and purchase at the screening.